An image of the RAV4 Hybrid released by Toyota. Toyota is adding a hybrid model at a time of low gas prices and slumping sales of alternative-powertrain vehicles. 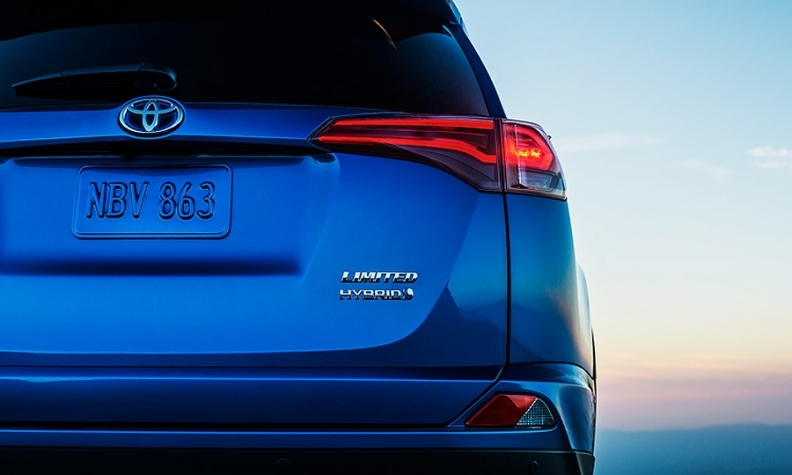 At the New York auto show, the big Japanese manufacturer will present an all-new RAV4 hybrid. The vehicle will sport the bolder styling that will also be scene when Toyota redesigns the gasoline-powered version of the small crossover, which is expected next year. In the meantime, the RAV4 hybrid is heading into a tough market. Totally hybrid car sales fell about 8.8 percent in 2014, to 452,152 vehicles, according to research firm Baum & Associates. And several Toyota models took the brunt of it, with the Prius seeing a decline of 15 percent and the Camry hybrid a drop of 11 percent. The RAV4 hybrid may still attract a fair share of buyers simply because the small-crossover segment is so hot. Last month, RAV4 sales leaped 33 percent to 21,943 units, the vehicle’s best February ever. And in 2014, U.S. deliveries of the RAV4 jumped 23 percent to 267,698.